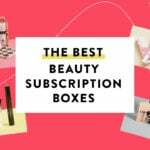 Awesome Pack Coupon – Free Shipping On Your First Box! Awesome Pack is offering free shipping on your first pack! Use coupon “ENDOFTHERAINBOW” at checkout. Offer ends 3/17. The March pack is currently available, grab one before 3/16! "Oh my God!!! This is so friggin beautiful!!!" "I’m happy with this spoiler, this is the last box in my annual subscription and I’m not sure if I’ll be renewing." "I cancelled my annual sub and then this is the first spoiler. Don't think I can resist this."